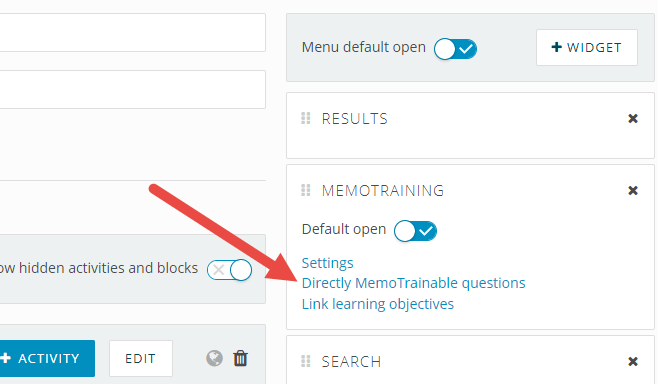 You can make a MemoTraining available for learners the moment that they log in for the first time. You can find more information about the MemoTrainer in this article: 'What is the MemoTrainer'. Choose the Templates tab from the main menu and then click Edit after the template you want to use. Choose the Blocks & Activities tab and click Directly MemoTrainable questions. Select the questions that you want to make directly MemoTrainable and click Update. It is also possible to add a new question by clicking on the +Question and put this new question in the existing folders.